Playing through Resident Evil 2 as either Leon or Claire, you’ll come across a couple of Portable Safes in the R.P.D. that have a rather unusual code system to open. 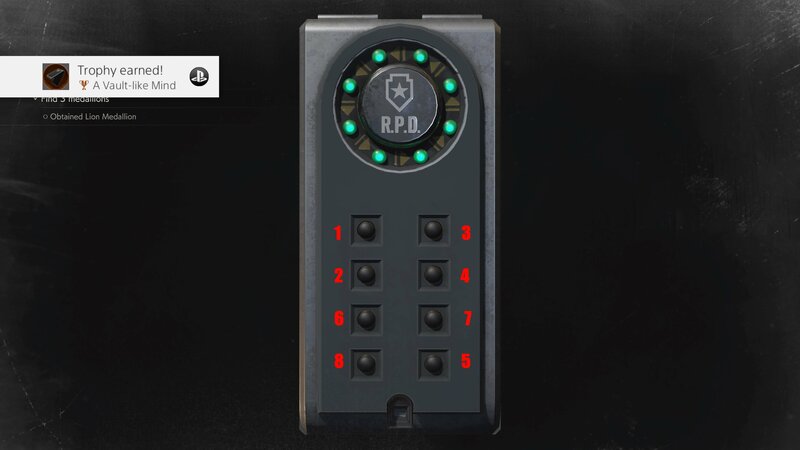 They can be bit frustrating to work with if you don’t enjoy trial and error, so in this guide we’ll teach you how to open the Portable Safe in Resident Evil 2. 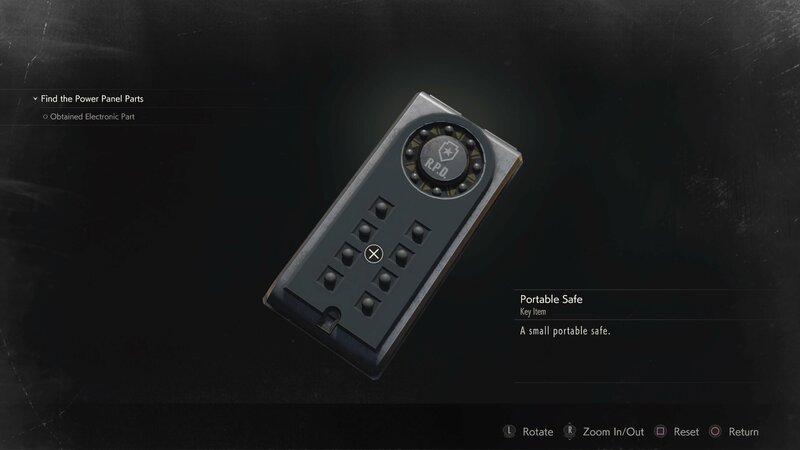 There are two portable safes you can find in Claire or Leon’s campaigns for Resident Evil 2, so we’ll cover each separately. The key to solving them is understanding that there is a set order in which you need to press the buttons, but it doesn’t matter where you start so long as you follow the order (e.g. 7,8,9,1,2,3,4,5,6 works the same as 1,2,3,4,5,6,7,8,9).. The code does differ between Claire and Leon’s campaigns however, so follow the relevant one. This Portable Safe can be found pretty early on in the Shower Room, on the second floor of the station’s west side. Inside you’ll find a spare key which can be used in the Safety Deposit Room. You can grab some extra shotgun ammo using this pad if you stick it on the 2 position, so we recommend that over the extra knife you’d get from putting it in the 3 position. You’ll need to Diamond Key to reach this particular Portable Safe in the Linen Room, which once again contains another spare key for the key pad in the Safety Deposit Room. Once you have both keys you’ll be able to unlock locker 203 in the Safety Deposit Room. This contains an extra pouch to increase your storage, meaning it’s well worth taking a trip there when you can, just be aware that you’ll need to avoid a licker that lurks the hallway outside. After learning the Portable Safe solutions, you’re ready to crack on with more Resident Evil 2 guides! Here’s how to open Leon’s Desk, while over here you can learn how to reach that pesky Clock Tower.